The world we live in is saturated in harmful toxins that we consume through the food we eat, the water we drink and even the air we breathe. This can have a huge effect on your colon, causing it to weaken and slow down. It is approximated that most adults are carrying around an extra 10 pounds of waste that is lodged in the colon. 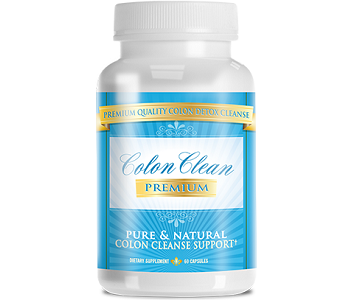 This leaves everybody in need of a colon cleanser to clean out the system so the colon can begin working efficiently. This review is going to take a closer look at Nature’s Secret Super Cleanse. This product is a colon cleanser that promises to nourish, stimulate and cleanse the colon with a unique blend of 14 herbs and probiotics. It is formulated to promote deep internal cleansing. Proprietary Blend (Cascara Sagrada powder (bark), Fennel powder (seed), Licorice powder (root), Ginger powder (root), Irish Moss powder (leaf), Slippery Elm powder (bark), Barberry powder (bark, root), Cayenne powder (fruit), Chlorella powder, Lactobacillus acidophilus, Marshmallow powder (root), Red Raspberry Powder (leaf), Triphala Powder (Amla powder), Belleric Myrobalan powder (fruit), Chebulic Myrobalan powder. Inactive Ingredients: Microcrystalline cellulose, stearic acid, gum arabic, croscarmellose sodium, silicon dioxide, magnesium stearate, sodium carboxymethylcellulose, dextrin, dextrose, soy lecithin, sodium citrate. Contains dairy and soy. Cascara Sagrada has been declared by the FDA as an ingredient that is not safe for human consumption. Because they do not disclose the amounts of the ingredients in the proprietary blend there is no way to know how much of this unsafe ingredient is contained in this product. Nature’s Secret recommends adults starting with one tablet in the morning and another one in the evening. You can increase the intake by one tablet every other day until you achieve 2-3 formed bowel movements per day but do not exceed three tablets twice per day. When you find the effective amount of tablets that work for you, you can take this amount for thirty days but do not exceed past that. They advise drinking 8 to 10 glasses of water a day. If you are under medical supervision, pregnant or nursing, consult with your doctor before taking this product. Nature’s Secret does not disclose any possible side effects. We were able to find several side effects through our research. You may experience nausea, abdominal cramps, pigmentation changes to the colon, rebound constipation, low potassium levels, calcium deficiency, and dehydration. You can purchase one 100 tablet bottle on the manufacturer’s website for $20.99. They do not offer bulk packages or discounts. Nature’s Secret does not offer a money-back guarantee. There are many negative consumer reviews on this product. Consumers claimed that they experienced harsh side effects after they took it. One user even reported that he was not able to have a colonoscopy because this product caused his stomach to be lined with a dark substance. Others claimed that they became ill after they took this cleanse and experienced painful and intense stomach cramps and they became constipated. There were a few reports that some consumers developed hemorrhoids. This product has an extensive list of ingredients that have been associated with relieving symptoms of constipation and comes in easy to swallow tablets. However, there are a multitude of negative consumer reviews reporting a myriad of adverse side effects. It was concerning that Nature’s Secret does not offer a money back guarantee but it makes sense considering all of the negative consumer reports. 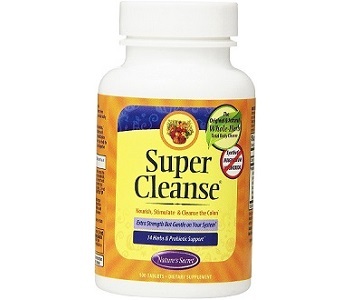 This Super Cleanse is too risky to purchase and consume.